German Chancellor Angela Merkel turned down Russian President Vladimir Putin’s invitation to attend the huge military parade planned for the 70th anniversary of the Allied victory over Germany. Instead, she will travel to Moscow one day later to take part in a ceremony at the Tomb of the Unknown Soldier – an unexpected hopeful sign. For this year’s Victory Day celebration, Russia’s President Vladimir Putin – who made the news last week both for a slightly mysterious absence and for claiming, in a pre-recorded TV documentary about annexation of Crimean, that he considered putting Russia’s nuclear force on alert –, is sparing no effort. On May 9, the 70th anniversary of Germany’s World War II capitulation, a record 14,000 soldiers will march through Red Square in Moscow. Nearly 200 tanks, including some state-of-the art heavy armaments on public display for the first time, will rumble across the square. 150 planes will be roaring overhead. For the first time, a new aerobatic team with the not-so-innocent name of “Krilya Tavridi” (“Wings of Crimea”) will take part in the parade. No wonder that Germany’s Chancellor Angela Merkel had no desire to attend. The same armed forces that will be putting on such a splendid show in Moscow have been, after all, heavily involved in the war in eastern Ukraine and presently in the shaky truce of the “Minsk II” agreement. Accepting Putin’s invitation to the parade would have been seen as softening Germany’s stance on the illegality of those cross-border operations. Still, turning down the invitation altogether wouldn’t have done either. German soldiers brought unimaginable suffering on Russia during World War II, and in the end, it were Russian troops that first conquered Berlin and ended Hitler’s rule. Turning down Putin’s invitation would have been seen as a sign of disrespect to the more than 20 million Russians who died in a war started by Germany. Happily – and perhaps surprisingly, given the enormous tensions between Putin and Western leaders – a solution was found. Merkel will not attend the parade, but she will travel to Moscow one day later to join Putin in laying down a wreath at the Tomb of the Unknown Soldier at the Kremlin wall. The fact that this compromise could be found is significant for two reasons. 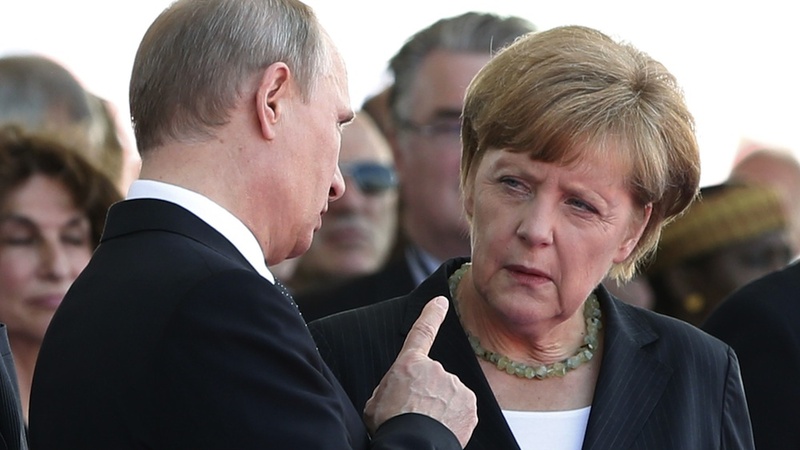 First, it confirms Merkel’s status as the West’s most important interlocutor for Putin. 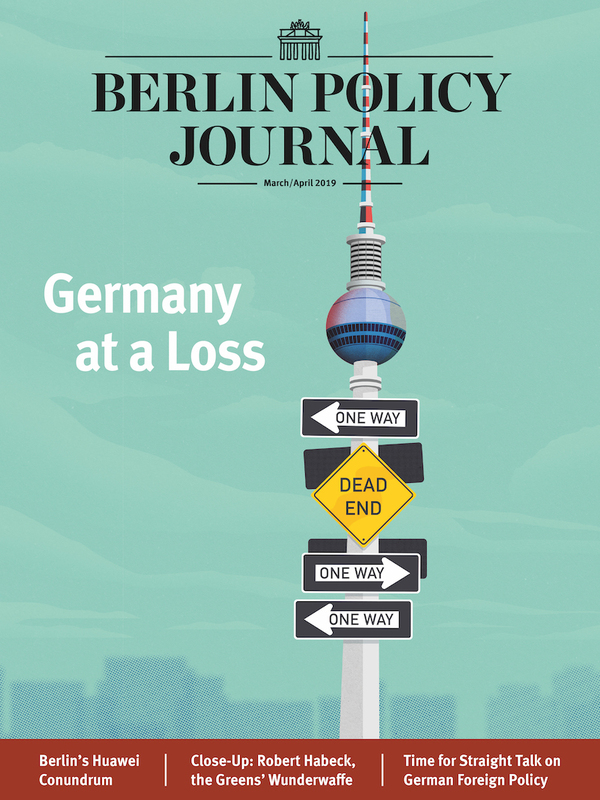 Merkel, now into her tenth year in power, has great diplomatic skill, a lot of patience, and an acute understanding of the importance of symbols. Secondly – and perhaps even more significantly ­–, it shows that Putin can be constructive. When Merkel called him in early March to discuss the World War II anniversary, he accepted her proposal to come to the smaller ceremony on May 10. While this doesn’t mean that Putin has any intention of being equally constructive on Ukraine, it is much better than nothing. It means that the Russian president still pays some attention to the principle of reconciliation that shaped the post-Cold War order in Europe. At the very least, he accepts that Russia continues to need Germany and that it would have lessened his anniversary celebrations if Merkel had stayed away. Is this grasping at straws? Perhaps. Other signals from Moscow are less positive. 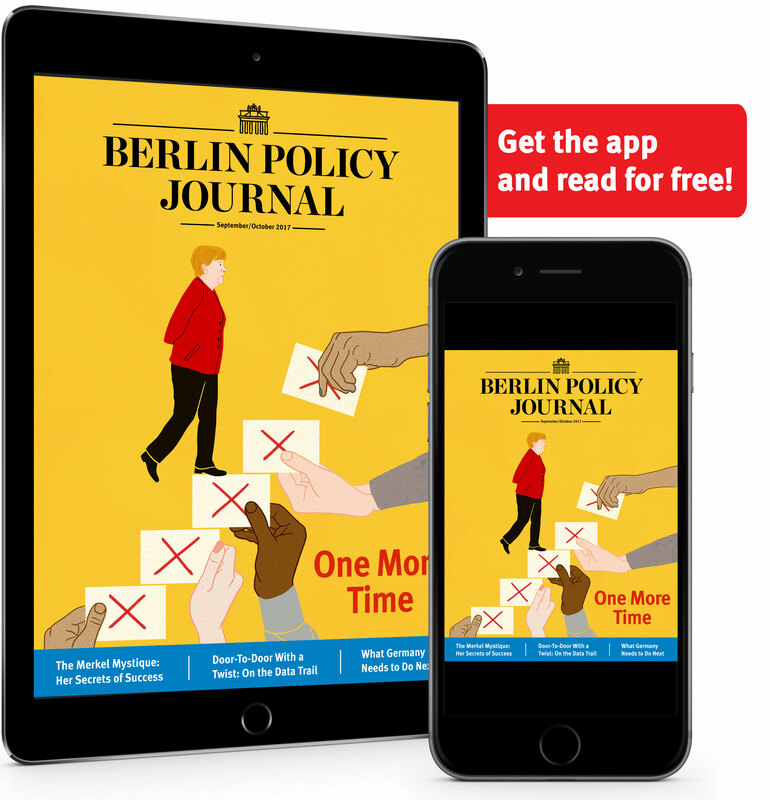 Just one day before Seibert’s announcement in Berlin, the Russian foreign ministry confirmed that Moscow was pulling out of the Treaty on Conventional Armed Forces in Europe (CFE). While the treaty had already been suspended by Moscow since 2007, this was still bad news. Yet at least Merkel and Putin have avoided further poisoning the atmosphere at a time when Europe urgently needs Moscow’s good will to follow through with the Minsk accords. Diplomatic success has been built on less.